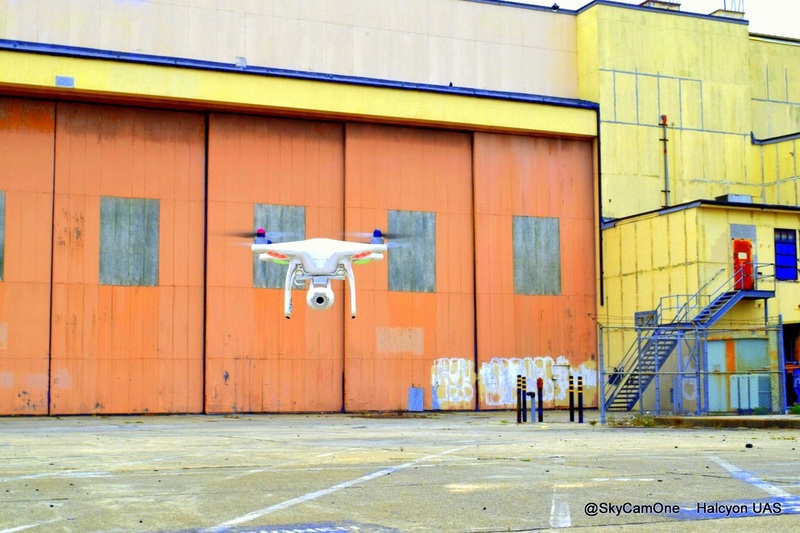 Welcome to the world of aerial news from the aerial aspect of drones or UAS - Unmanned Aircraft Systems. ​You're Watching The Halcyon Television Network! SHENZHEN, China, July 4, 2017 /PRNewswire/ -- SkyPixel, the world's most popular aerial photography community run in cooperation with DJI, has so far received more than 700 entries from participants in over 45 countries for the 2017 SkyPixel Video Contest. SkyPixel and DJI have selected some of this year's best work, showcasing participants' aerial perspective of the world in the three major categories: Nature, City, and Sport. Visit the 2017 SkyPixel Video Contest Highlights Page to see the breathtaking drone footage. For those still interested in participating in the 2017 SkyPixel Video Contest, the deadline for entry is August 2. 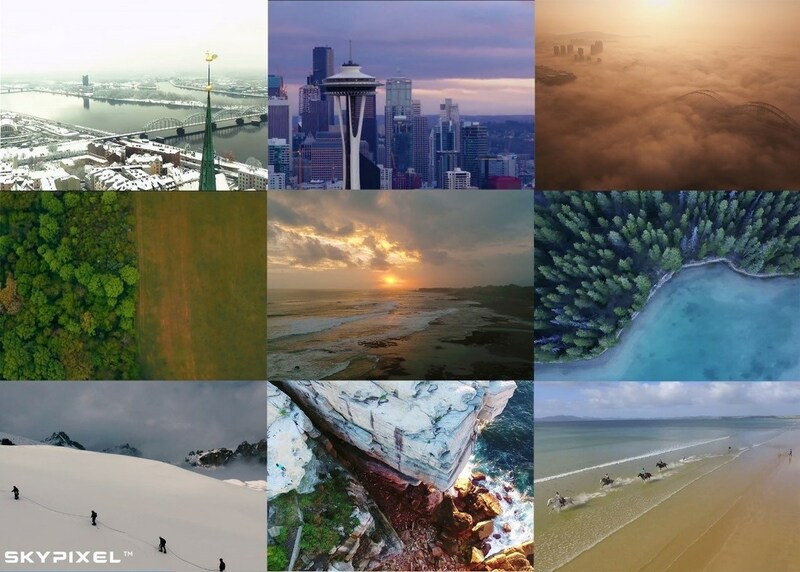 Whether you're a new drone user, professional videographer, or someone wanting to showcase their aerial creativity to a wider audience, the international contest is open to anyone in every corner of the globe. Nature: Tell us a story with landscape shots, revealing the deep secrets of Mother Nature from above. 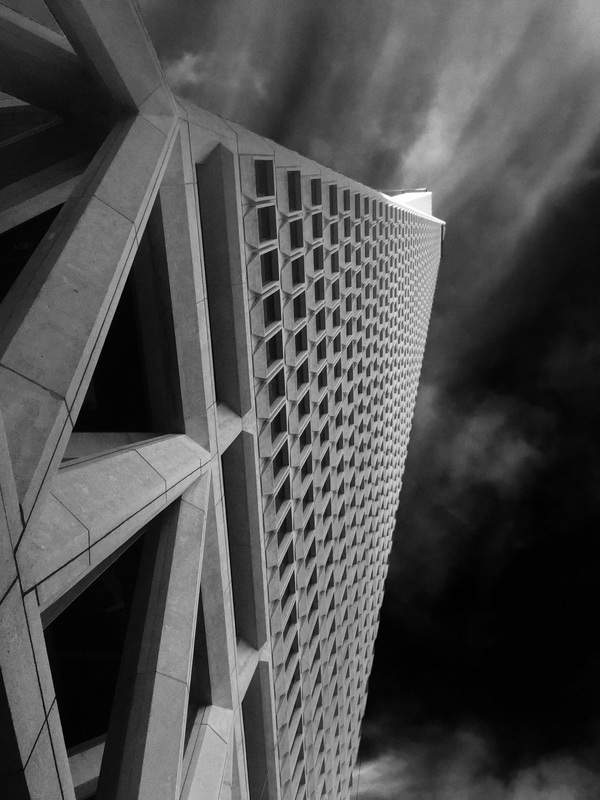 City: Capture your city's unique character and show us places we know and love from a brand-new perspective. Sport: Capture the energy and excitement behind a sport or an athlete pursuing their dreams. Videos captured from any type of aerial platform are welcome. Submissions should not be longer than five minutes and should include at least 30 seconds of aerial footage. One Grand Prize winner will be selected out of all the entries. The winner will receive a DJI Inspire 2 Premium Combo, Nikon D750 Body + 24-70 mm VR 2.8 Lens, Suunto Spartan Ultra Copper Special Edition (HR) Watch, LaCie d2 Thunderbolt 3 Hard Drive, an Oakley Latch Prizm Sunglasses, and a Tourism Australia Travel Package. Other prizes include the DJI Phantom 4 Pro, DJI Mavic Pro Fly More Combo, and DJI Spark, among others. SkyPixel will also give out a People's Choice Prize to the top ten most liked videos (cut-off time for voting is August 2, 14:00 CST). Winners will receive a DJI Osmo Mobile, LaCie Rugged Thunderbolt USB-C Hard Drive, Suunto Traverse Alpha Black Watch, and a pair of Oakley Latch Prizm Sunglasses. Ning Hao - Director and screenwriter of several Chinese blockbusters. His breakout film Crazy Stone (2006) earned a Golden Horse Award for Best Original Screenplay. Ryan Hosking - One of the youngest feature film Aerial Director of Photography. Ryan's film credits include The Revenant, American Sniper, The Nice Guys, and CHiPs. DJI - New MAVIC PRO! September 27, 2016 – DJI, the world leader in unmanned aerial technology, Tuesday revolutionized personal flight by introducing the Mavic Pro – a portable, powerful, easy-to-use drone featuring DJI’s most innovative camera and flight technology in a sleek, foldable package that enables creative fun wherever you go. Mavic Pro is DJI’s first personal drone designed to be taken just about anywhere, small enough to toss in a bag and easy enough to launch quickly whenever the time and place are right. Its unique folding design compresses the entire drone to the size of a water bottle, and its intuitive interface can be controlled by a smartphone – making it easy to take aerial selfies or stream live video from the sky. Mavic Pro is designed to be portable, with four folding arms and propellers that tuck snugly against its body so it can be easily carried in a purse or backpack. It can be controlled just from a smartphone, can be set up and flying in less than a minute after calibration, and can fly up to 27 minutes on one Intelligent Flight Battery. Mavic Pro is packed with powerful features despite its small size. DJI’s uncompromising technology now includes our smallest three-axis gimbal for shake-free photos and videos, and a smaller controller that can be used with or without a smartphone attached. The new OcuSync encrypted transmission system has a range up to 4.3 miles (7 km) where it can be done safely and responsibly, and can reach 1080p video resolution for live streaming to Facebook Live, Periscope and YouTube through the DJI GO app. DJI’s commitment to unparalleled stability, maneuverability and obstacle avoidance is clear in Mavic Pro’s new FlightAutonomy guidance system, which combines dual-band satellite navigation, redundant sensors, ultrasonic range finders, five vision-positioning cameras and deep learning processors for intelligent flying modes. The redesigned Mavic Pro controller features control sticks that provide tactile feedback to warn of obstacles. Mavic Pro can be operated just from the controller or just from a smartphone – or they can be mounted together with an innovative clamping mechanism to provide a vivid screen view as well as stick controls. The powerful systems inside Mavic Pro are easy to use, even for beginners. Using just your phone’s touchscreen, you can use TapFly to direct Mavic Pro to go where you want while avoiding obstacles. Mavic Pro’s intelligent image sensors make it easy to take the perfect aerial selfie with Gesture mode, which recognizes your movements to locate you, center you in the frame and take just the right shot. Flashing lights on Mavic Pro will count down to the photo while you strike your best pose. And sharing images and videos from the DJI GO app is easier than ever. Mavic Pro integrates all this technology to help you unleash your creativity by seeing the world in a new way and capturing it in breathtaking professional-quality photos and videos. Mavic Pro records 4K video at 30 fps and full 1080p HD at 96 fps, with a minimum focusing distance of just 19 in (0.5 m). Its 12-megapixel camera with Adobe DNG RAW support has been expertly tuned for aerial images, and it can be flipped 90 degrees to a new portrait mode to shoot vertical photos and videos as well. An updated version of DJI’s ActiveTrack recognizes common subjects such as people, bicyclists, cars, boats and animals, then sends Mavic Pro to follow behind, lead in front, track alongside or circle the subject – or even keep the camera focused on the subject while you control Mavic Pro’s movements. A new Terrain Follow mode to race up a slope behind a subject while remaining at a constant height from 1 ft (0.3 m) to 33 ft (10 m). To experience the joy of flying, Mavic Pro can be switched to Sport Mode, which allows speeds up to 40 mph (64.8 kph) where it can be done safely, and increases the drone’s agility and responsiveness to provide a racing-like experience. At the other extreme, new Tripod Mode drops Mavic Pro’s maximum speed to just 2.2 mph (3.6 kph) and reduces the sensitivity of the control inputs, to allow precision positioning for photography as well as to make it easier to fly indoors or in other confined spaces. Mavic Pro also pairs with new immersive DJI goggles, displaying a 90-degree view from the drone in full 1080p right in front of your eyes for a true bird’s-eye view of your world. The goggles use OcuSync to display video directly from Mavic Pro, not the controller, reducing lag to an incredible 120 milliseconds. You can direct Mavic Pro through the sky while wearing the goggles – looking down will tilt the camera down, while looking left or right will change the direction of flight. You should always follow applicable laws and regulations when flying with goggles, and you can even give the goggles to someone else to wear while you fly. The technological advances in Mavic Pro make flying it a worry-free experience for first-time pilots, bringing the excitement of flight and the creative possibilities of aerial imaging to everyone. Mavic Pro’s network of five sensor cameras includes an obstacle avoidance system to help prevent forward-facing collisions in flight, spotting obstacles as far as 49 ft (15 m) ahead at speeds up to 22 mph (36 kph). It also uses downward-facing sensors and barometric readings to detect a rising slope on the ground beneath the drone and automatically move it to a safer height. Mavic Pro remains stable and flies smoothly in winds up to 24 mph (38.5 kph), and uses DJI’s GEO geofencing system to help identify restricted areas, automatically prevent flight in locations that raise safety or security concerns, and help pilots make smart decisions about where and when to fly. As with all DJI drones, Mavic Pro is set to automatically return to its launch location if it ever loses contact with the controller or reaches a critically low battery level. The new Precision Landing system records a burst of video with two stereo cameras every time Mavic Pro launches, then uses the videos and GPS information when it returns to land within an inch of where it took off. And if a pilot lets go of the controls, it will simply hover in place. An optional new protection plan, DJI Care Refresh, is available to provide peace of mind for Mavic Pro owners. DJI Care Refresh covers accidental damage to the Mavic Pro’s aircraft, gimbal or camera during normal use for up to 12 months, and for an additional charge will offer up to two full replacements that are new or equivalent to new. DJI Care Refresh is available before a new Mavic Pro is activated or within the first 48 hours after activation. Mavic Pro’s U.S. retail price will be $999, and additional Mavic Pro Intelligent Flight Batteries will cost $89. A Mavic Pro Fly More Combo, which includes a Mavic Pro, two extra Intelligent Flight Batteries, extra propellers, a charging hub, an adapter, a car charger and a shoulder bag, will be available for $1,299. Mavic Pro is immediately available for pre-order at dji.com/mavic and will begin shipping in mid-October. It will also be available in mid-October at DJI’s three flagship stores in Shenzhen, Seoul and Hong Kong. Mavic Pro can also be ordered on Apple.com and will be available in Apple Stores in early November. SANTA MONICA, Calif., July 14, 2016 /PRNewswire/ -- DJI, the world's leading maker of unmanned aerial vehicles, and AirMap, the world's leading provider of airspace intelligence and navigation services to unmanned aircraft, added real-time wildfire alerts to their geofencing data Wednesday to help keep unauthorized drones from interfering with firefighting operations. AirMap now obtains wildfire information directly from the U.S. Department of the Interior's incident command system and immediately pushes it to drone pilots through AirMap's iOS and web apps, AirMap's API, and the GEO geofencing system included in the DJI GO flight control app. This data is more current and includes more active wildfires than Temporary Flight Restrictions (TFRs) published by the Federal Aviation Administration (FAA). "AirMap delivers dynamic airspace intelligence to unmanned aircraft in order to provide the safest operating environment possible," said Ben Marcus, CEO of AirMap. "Through our partnership with DJI and other drone manufacturers and application developers, more than 70 percent of the drones operated in the United Statesnow benefit from wildfire information in real time." "DJI wants to equip its customers with safety-critical information that will help our first responders, whether or not a TFR has been issued," said Brendan Schulman, DJI Vice President of Policy and Legal Affairs. "This enhancement to GEO will help prevent DJI drones from inadvertently taking off within, or flying into, a wildfire location without authorization." Unauthorized drones near wildfires can pose a hazard to firefighting airplanes and helicopters, and in some cases they have forced aerial firefighting operations to be suspended. AirMap's new wildfire alerts are designed to help drone operators understand the hazards and restrictions near them when deciding whether it is safe to fly. DJI is integrating the new AirMap wildfire alerts into the GEO geofencing system in the DJI GO app, which helps pilots avoid flying drones near airports, prisons, nuclear power power plants and other sensitive locations without authorization. 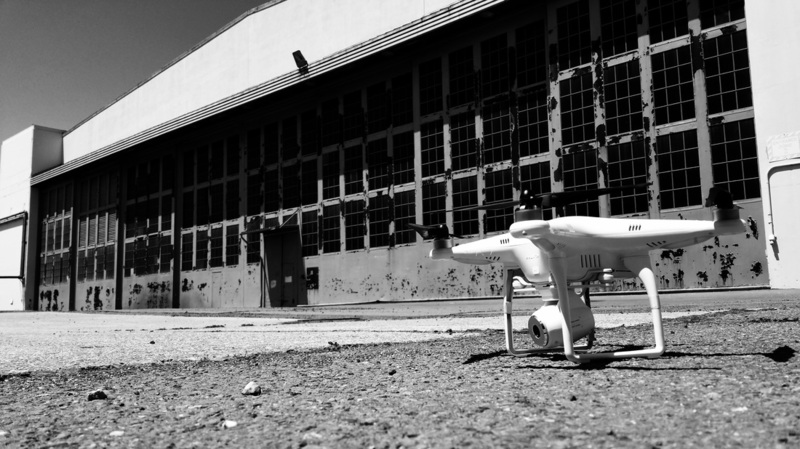 DJI pioneered geofencing technology three years ago and has been steadily refining the industry's best technology to enhance aviation safety. SHENZHEN, China, Jan. 9, 2016 /PRNewswire/ -- On January 6, 2016, the world's most prestigious science and technology industry event - the International Consumer Electronics Show (CES) opened in Las Vegas, attracting more than 3,600 exhibitors from 150 countries and regions. This CES, UAVs have become one of the highlights of the show's many sectors, with DJI, FLYPRO UAV exhibiting its most innovative UAV products. At a press conference at CES, FLYPRO released a smart flying drone controlled by mouth, that is voice control, - the XEagle, a "smartwatch UAV" with one key control, quick automatic obstacle avoidance, intelligent gimbal follow recording and multiple intelligent security protection. According to the product information and people who witnessed the feature presentation, XEagle operated differently than other consumer drones. Mainly for sporty people, the functionality of the drone was a highlight as an unprecedented innovation allowed for freedom of movement of both hands making full range of motion possible while recording each wonderful sports moment. XEagle does not require a remote control or smartphone to control. You can fly the UAV by mouth, that is voice control, it relies on its accurate speech recognition to follow user voice commands. In addition, all the features of this UAV have been integrated into a smartwatch. Simply pressing a function key on the smartwatch makes "one key control" of such tasks as landing, following, 360°circles and other manipulations possible. "These two features that make the complete liberation of both hands, are very creative, very interesting!" Stephen, a tourist from Australia, told reporter. While other UAV related technologies are still being developed, the XEagle already has UAV automatic obstacle avoidance function, which is effective when the obstacle is at the distance between 0.1 to 15 meters with relative velocity of 12 meters per second. Meanwhile, with its multiple intelligent security features, the flight safety is best guaranteed. As a smart sports UAV, its photographic function is also very powerful. Not only able to achieve high-speed 15 m / sec while recording, it also possesses a smart gimbal follow function, ensuring that people being filmed will always be in the center of the screen. These innovations are designed to maximize the "no condition" of consumer-level UAV control, taking into account the safety of the UAV and its users. Large scale production will begin in late January. In early February, the UAVs will be available on the market with prices ranging between 455 and 895 USD. Based on these innovations and leading technologies, the XEagle is very competitive in price. Other UAV manufacturers have brought out many new products at the CES UAV pavilion and will continue to astound until the show wraps up on January 9th. Have A Story For Us To Cover? If you would like to send us a photo, please send to email: halcyoncinema@icloud.com Thank You!